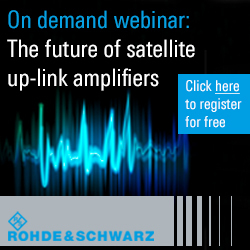 An amplifier for satellite communications that provides a great deal of power in a small package is an attention getter. 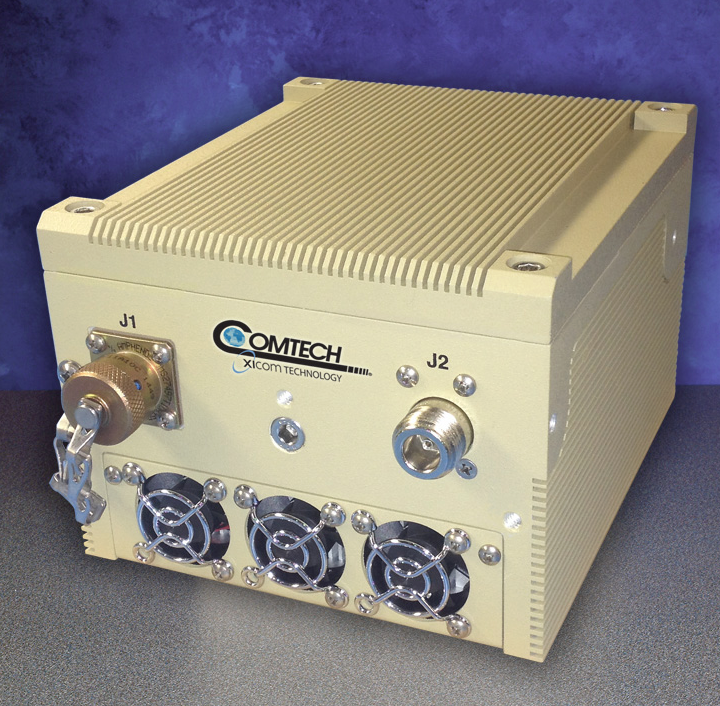 Comtech Xicom Technology, Inc., provider of amplifiers for satellite communication (SATCOM) uplink applications, announces a new GaN-based solid-state X-band block upconverter (BUC) that packs a tremendous amount of power into a 5.3-pound (2.4 kg) antenna-mount outdoor unit. This compact, lightweight and highly capable BUC provides 20 watts of linear output power in a 5.8" x 5.1" x 3.9" (147mm x 130mm x 99mm) feed-mountable package designed to handle tough environments and meet stringent X-band RF requirements, while drawing very little power for extended battery operation. Model XTSLIN-20X-B1 features approximately 50W of saturated output power, 25W of linear power using MIL-STD-188-164 definition at mid-band, and more than 20W of linear power across the 500 MHz frequency band (7.9 - 8.4 GHz) over a temperature range of -40 degrees C to +60 degrees C. This high linear output power level is achieved at less than 120W prime power consumption across all conditions, and comes in a self-cooled feed-mount package that can handle the toughest environments. "With limited budgets and increasing bandwidth demands for both commercial and military SATCOM systems, users are looking to benefit from the available capacity that the X-band spectrum offers," said John Branscum, President of Comtech Xicom Technology, Inc. "This new BUC enables system integrators to offer highly compact transportable and man-portable SATCOM terminals that take advantage of Skynet, XTAR and WGS to provide much higher data rates and more efficient operation. End users no longer have to drop to kbps data rates in order to carry their X-band terminal on their backs." The new X-band BUC accepts a 950-1450 MHz L-band input, upconverts it to 7.9 - 8.4 GHz X-band. The all solid-state unit uses GaN transistors to amplify the signal to achieve full output power. Additional features include temperature compensation, gain control, harmonic filtering, tight gain variation and stability, a serial RS-232 digital monitor and control interface, and options for operating with +24 or +48 VDC prime power, provided over the IF line or through a separate connector.